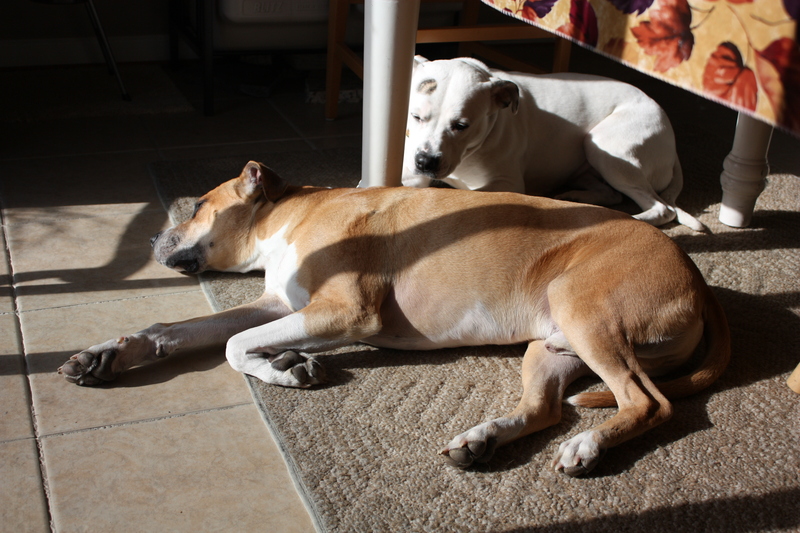 When Bella came to live with us a little over 4 months ago, she had absolutely no doggie manners: she’d step over Alex; bump into her; and this was the worst, while Alex was sunbathing by the sliding doors Bella would try to put part of her body on top of Alex. Manners is something dogs can learn from one another, and I’ve been lucky to have Alex, a very laid-back, balanced pit mix, help other dogs accomplish that. 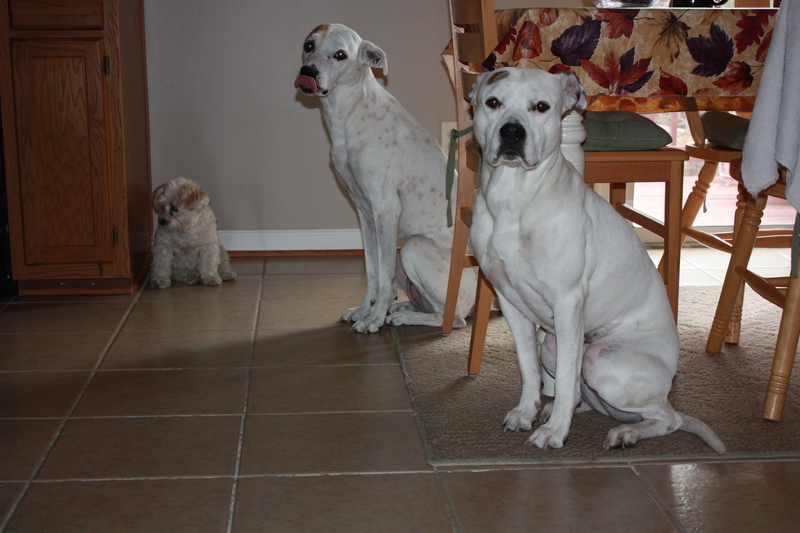 Is manners something you can teach a dog overnight? No. There are many factors that need to be present and put into play in order to have a well-mannered dog and these are just a few: patience, structure, exercise, discipline, commitment, consistency, love, and a balanced dog like Alex. A few pet parents I’ve talked to believed that if they took their dog to an obedience class, this would solve most, if not all, problems, but let me tell you that an obedience class is just the beginning of getting your dog to be a happy, balanced, and well-mannered dog. I look at an obedience class as one more tool that you can use to start training and conditioning your dog to listen to you, her pet parent. Also, please don’t expect your dog to learn manners from another dog in a couple of hours, days, weeks, etc. Why? Dogs are individuals, as I mentioned on a previous post, and they learn at their own pace. Bella, our foster failure, has made amazing progress, but that took time and a ton of patience. There is still a lot more I need to work on with Bella, but now she is able to live with other dogs in peace while respecting their space.